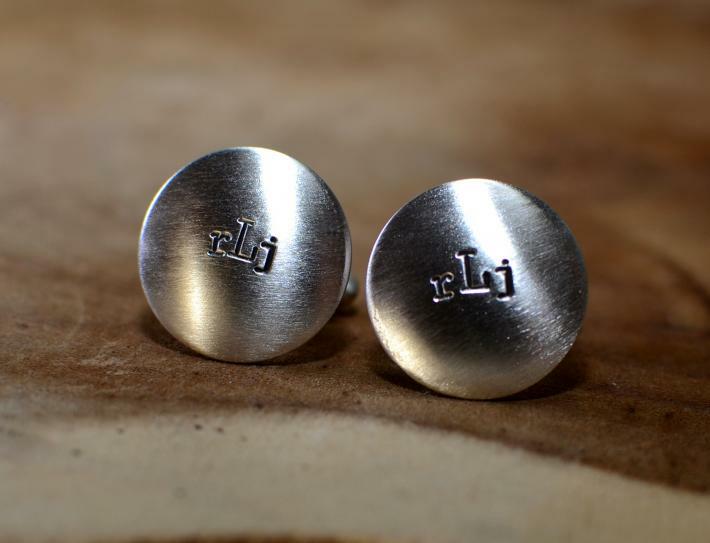 Stamped with your own monogram, these stylish handmade sterling silver cuff links are sure to add a classy touch to any shirt with the vibrant metallic glow of brushed sterling silver, 1 inch diameter 18 gauge (1mm thick) discs, pure sterling silver torpedo links instead of typical plated links, and a strong soldered joint between the torpedo links and discs in place of adhesives. 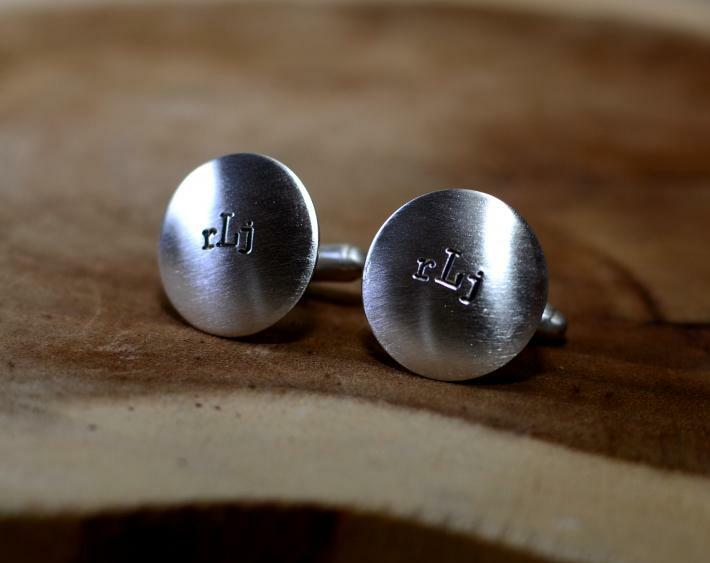 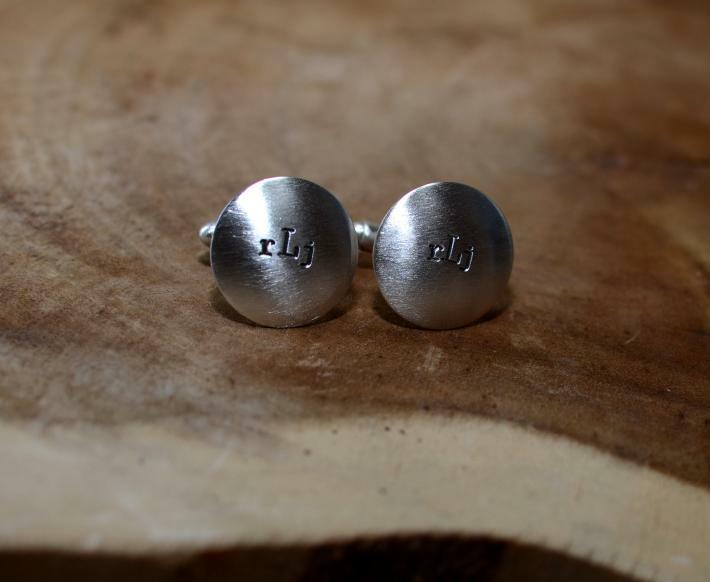 To have your cuff links personalized with your own monogram in an American Typewriter font and darkened using a black patina, simply enter your initials in the check out notes. 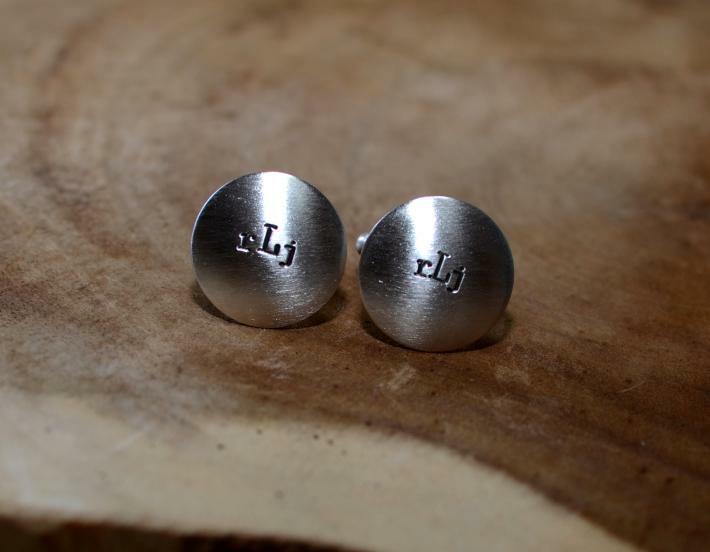 Remember, the first letter of your last name is capitalized and placed in the center, while the first and middle are smaller and stamped in lowercase on bothsides of the last initial. 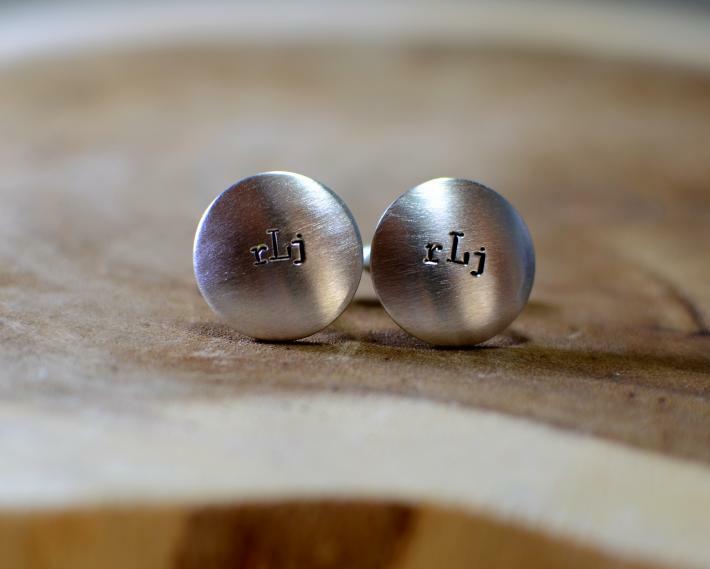 While this is the true definition of a monogram, you can also request your basic initials, a single letter, or any custom design in place of the monogram.